Prize experience for 28 competition winners to see their dream of playing at Old Trafford come true! We were asked to organise and arrange a truly unique package in which winners were offered a VIP Manchester United experience, with the amazing opportunity to play on the hallowed turf of Old Trafford. 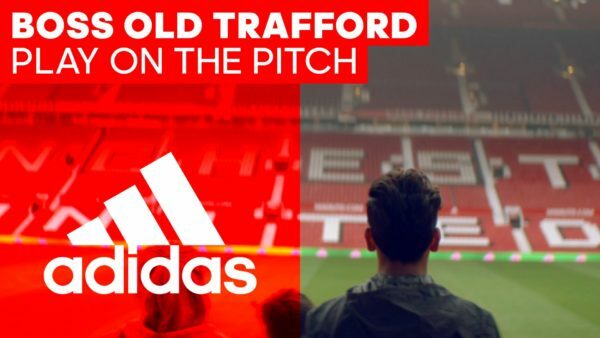 We took a group of 28 competition winners to Manchester for the once-in-a-lifetime chance to train at the Manchester United training ground, before playing on the pitch at Old Trafford! We organised hotel accommodation, travel arrangements, meals, and transfers between the activities, as well as providing full on-site management for the duration of the two-night experience, chaperoning the winners as they ‘Boss Old Trafford’. Looking to arrange a truly unique event such as this? Get in touch via our enquiry form or give us a call on +44 (0)20 8871 9959 and we’ll show you what we can do! We loved the whole experience. It’s a once in a lifetime opportunity to play on your favourite team’s pitch. The events themselves were incredible and we will never forget the weekend we had. You were brilliant, organised and engaging.